The head of the U.S. Conference of Catholic Bishops’ independent lay advisory panel on the protection of children and young people on November 13, 2018, delivered a special report to the body of U.S. bishops regarding the abuse crisis in the Church. 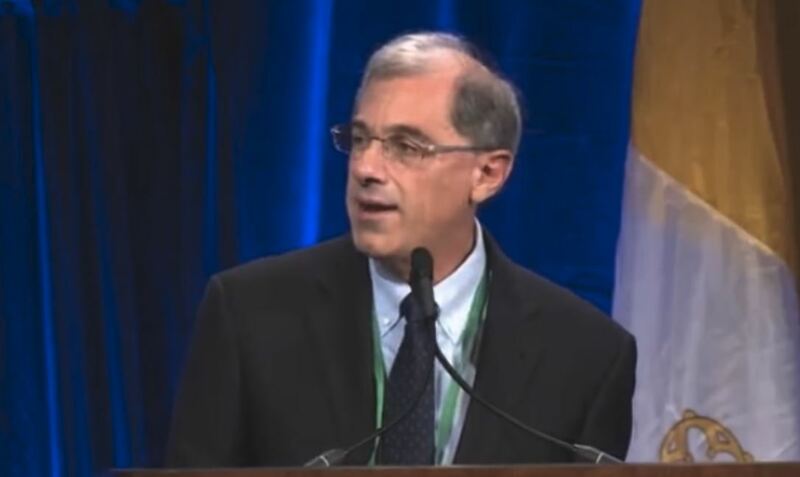 In an address to the bishops who have gathered in Baltimore for the annual fall general assembly, National Review Board Chairman Francesco Cesareo, Ph.D., outlined key reforms and urged action. The report calls for broadening the scope of the Charter on the Protection of Children and Young People to include bishops; the publication of complete lists of credibly accused clergy in all dioceses; improving the audit process, and enhancing accountability for bishops regarding cases of abuse. Cesareo pointed to Bishop Robert Morneau, retired bishop of the Diocese of Green Bay, as an example of what others must be willing to do. In September, Bishop Morneau retired from public ministry in the wake of his failure to handle abuse. Cesareo said it was regrettable that the bishops would not be able to take action during the current meeting, having been asked do delay by the Vatican until after the February 2019 meeting of the heads of bishops conferences called by Pope Francis to address the abuse crisis. However, Cesareo said the review board stands by its recommendations to hold bishops accountable. Nonetheless, your response to this crisis has been incomplete. Specifically, current events reveal a continued lack of transparency about past cases of abuse and the way they were handled, as well as a lack of accountability for bishops. The Pennsylvania Grand Jury Report exposed the fact that some bishops have not been sufficiently open and transparent. It has taken the intervention of the state and the media to fully expose the darkness of abuse in our dioceses. It is shameful that the sin of abuse was hidden and allowed to fester until uncovered by the secular world. Even more unbearable is the fact that so many innocent children and young people suffered because of the inaction and silence of some bishops. You must put the victim first when allegations come forward. How many souls have been lost because of this crisis? Today, the faithful and the clergy do not trust many of you. They are angry and frustrated, no longer satisfied with words and even with prayer. They seek action that signals a cultural change from the leadership of the Church. Their distrust will remain until you truly embrace the principles of openness and transparency listed in the Charter. You must come to terms with the past. There cannot be reconciliation without full acknowledgment of the truth. While regrettably, you will not be taking any action this week, the National Review Board (NRB) still stands behind the recommendations I am presenting to you today, and which you have received as a handout, as you consider how you must act when you are permitted to do so. To bring about transparency, the NRB recommends that as soon as possible, you state your intentions to conduct a review of your diocesan and seminary files, especially archives and clergy personnel files dating back to at least 1950, if possible, and share the findings with the public. At minimum, the findings should include a list of clergy who have been credibly accused of sexual abuse of minors and vulnerable adults, and whether those cases were handled appropriately by bishops and their dioceses. To maintain credibility, the review process must involve the laity in some form, such as a diocesan review board or external firm. Some of you have already conducted reviews and published lists of offenders or have expressed your intent to do so. Some of you have also invited your state’s Attorney General to conduct reviews. We are grateful for your proactive steps to restore credibility. Your actions are true marks of the leadership the Church so desperately needs. Unless it would interfere with a civil investigation, we strongly recommend that all other bishops follow suit. Beyond transparency, current events also reveal a lack of accountability for many bishops for their role in the abuse crisis. While much of the guilt has been placed on priests, bishops have often escaped punishment. Simply, the accountability of bishops has never been fully addressed. Full accountability of bishops requires at least two concrete actions: investigating allegations involving bishops and ensuring consequences for bishops who have failed in their responsibility to protect the vulnerable. In August, Archbishop Vigano released his testimony regarding the events surrounding the abuse committed by former Cardinal McCarrick. His testimony, along with other public reports containing additional allegations and settlements, seem to suggest that those at the highest levels of the hierarchy remain immune to the consequences of their actions that allowed abuse to occur. Archbishop Vigano’s allegations must be addressed. No stone must remain unturned. Ignoring these allegations will leave a cloud of doubt over the Church, as questions will linger. To that end, the NRB supports the USCCB’s call for a full investigation, involving laity, into the many questions surrounding Archbishop McCarrick. Such an investigation by a lay body must be independent if its findings are to have credibility among the faithful and society in general. The NRB is again grateful for your leadership regarding this matter, specifically those of you who have publicly supported such an investigation. The NRB calls on the archdioceses and dioceses of New York, Newark, Washington and Metuchen to cooperate with any future investigation. The NRB also supports the concrete recommendations proposed by Cardinal DiNardo to bring about bishops’ accountability by establishing a 3rd party reporting system for allegations against bishops, addressing restrictions of bishops who were removed or resigned due to allegations of sexual abuse or harassment, developing a code of conduct specifically for bishops, and the establishment of a lay commission. To further create a system of accountability, the NRB also recommends that the Charter be revisited in light of current events. During the most recent process to revise the Charter, many of the recommendations of the NRB were not brought forward. These recommendations should be reconsidered, as well as the inclusion of bishops in the Charter. Going forward, the abuse of power, manifested in sexual abuse committed by clergy, including bishops, against adults must also be addressed. To ensure the Charter is being implemented effectively, the audit process must also be strengthened. Currently, the bar for achieving compliance with the Charter is low. Both the type of audit being carried out, as well as the audit instrument itself must be changed, ensuring that the audit is more than simply a compliance review. The audit must also include a review of parishes and Catholic schools to ensure that the data they submit is accurate. Finally, as more information is publicized regarding the inappropriate handling of abuse by bishops, it remains clear that some bishops have escaped the consequences of their acts of omission regarding abuse, and that little is being done to address this injustice. While most of you have responded appropriately to allegations of abuse, according to a recent report by the Boston Globe and Philadelphia Inquirer, more than 130 bishops – or nearly 1/3 of those still living have been accused during their careers of failing to respond to sexual misconduct in their dioceses. Others have been accused of committing abuse. Few have faced real consequences. This must change. At present, the NRB is unaware of any mechanism that has been utilized by the USCCB to hold culpable bishops accountable for their past action or inaction. Possible mechanisms could include barring guilty bishops from USCCB membership or attending national meetings. The NRB is also unaware of any sense of meaningful fraternal correction among U.S. bishops regarding matters of abuse. The NRB calls for a revision of the Statement of Episcopal Commitment to include a concrete approach to fraternal correction. Fraternal correction that is meaningful and effective requires that bishops appeal to the Holy See to intervene if a particular bishop appears unable or unwilling to act in the best interests of the entire Church, whether in the past or the present. One plan of action could be for the USCCB leadership to submit a request for the Holy See to review its own files concerning any sexual misconduct or cover-up involving bishops. On September 19, Bishop Robert Morneau, retired bishop of the Diocese of Green Bay, took full responsibility for his failure to prevent abuse and asked to withdraw from public ministry, stating his intentions to spend his time in prayer for all victims of sexual abuse and perform corporal works of mercy as reparation for his failures. A grand jury report or canonical proceeding did not force him to withdraw. He did so because his conscience dictated such action. Bishop Morneau’s actions exemplify those that some of you must take to restore trust and allow the deep wounds caused by the current crisis to heal. We know this will be difficult but it is necessary to restore trust and reconciliation with survivors of abuse. May God give you the courage, humility, and fortitude to do the right thing for the sake of his Church. Your Eminences and your Excellencies, may God bless you as you continue to fight the fires of abuse in the Church, and extinguish all sources of this crisis that has caused such harm and devastation of souls. 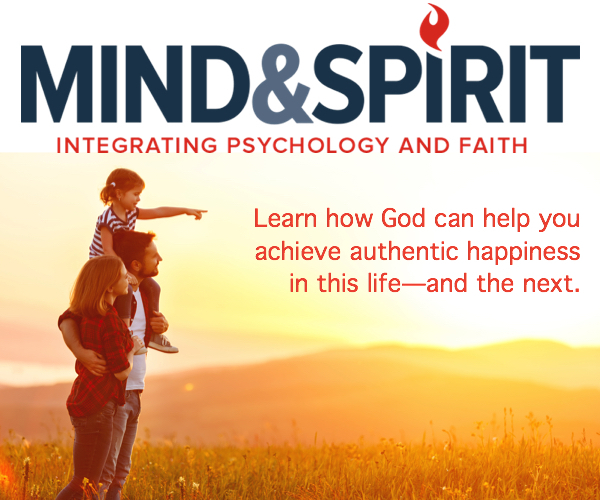 More than new national policies and procedures, it will be your individual decisions and actions, with the support and involvement of the laity that will ultimately restore the Church and bring healing and justice for survivors of abuse. Years later, his prophetic voice so aptly applies to the failure of leadership that enabled abuse in the Church and the crisis we face today. 4 Allow me to assure you that the NRB remains committed to fulfill its charge to assist you and accompany you during this difficult moment so that the Church may emerge purified and renewed for the sake of our children and young people.